I'm back with a card using another Neat and Tangled's mini stamp sets! This time, I am using Sunburst and Sparkle & Shine, two stamp sets that was just released this month. I stamped the sunburst on one side of the card and cut out the white spaces, leaving only the stamped portion on the card. I then stamped the light bulb, coloured and cut out and adhered it to the sunburst with some foam tape. Then I finished the card off with a sentiment from Sparkle & Shine and embellished it with some rhinestones. 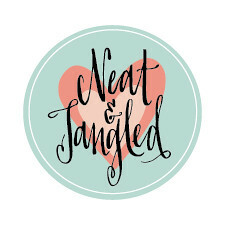 Little Tangles is having an Embellish It! Challenge, so go ahead and join in the fun using your favorite embellishments - from sequins, rhinestones, chipboard... anything! The challenge runs until Sunday, May 26th at 11:59 EST, so don't hurry up and link up your creations! OMgoodnesss, Pamela! 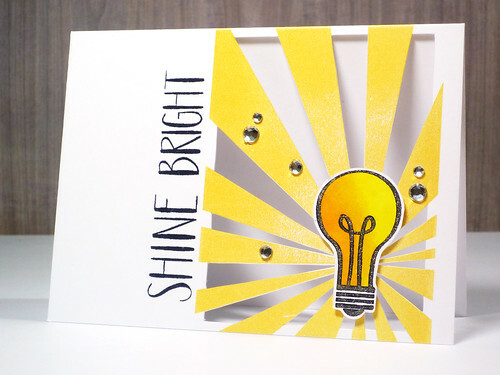 Creative genius right here; such a unique way to use the sunburst stamp and the S&S sentiment! Love this card. Love how you have the open spaces in the rays of light. So creative. 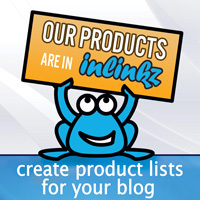 Would love for you to link up to Whimsical wednesday and share you work. So beautiful! Love love love this creative card from Pamela!! This is so pretty! I love how you cut out the white spaces and left the stamped ones... looks classy! this looks so cool and dimensional! awesome card! This really is so amazing!!! It's stunning an i honesty couldn't love it more!!!! Love the starburst cut out!! A Lot to Say...or just a little? May 2013 Release Giveaway Winners! May 2013 Release Day 2: Sunburst + Giveaway!